" as soon as the colour is right, then an exciting journey begins." Incorporating favourite objects into her still life's, Christie rejoices in the relationships and spaces made by these forms and the compositions they create on the flat plane of the table. 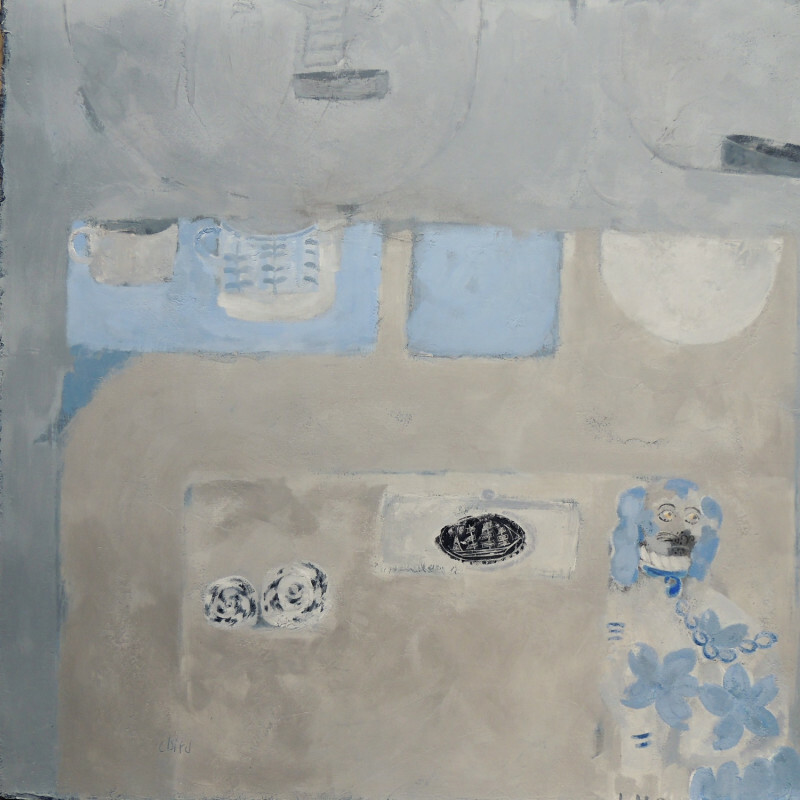 Her colours are influenced by the view from her studio: greys, whites and blues of the seas, skies and chalky cliffs. Scratching, sanding and painting alternately texture is achieved that reflect the smooth, porous pebbles and bleached shells of the Bay where she lives. "Patience, patience, patience, is what the sea teaches. Patience and faith. One should lie empty, open, choiceless as a beach waiting for a gift from the sea."